I know this isn’t typical blog material, but then again, I’m not a typical blogger. In lieu of a white walled house with a perfectly styled living room, I have a tiny messy apartment and a love for fantasy. If you know me, you know my love for Star Wars, Star Trek, Lord of the Rings, Harry Potter, and fantasy in general. I am addicted to the feeling of getting completely lost in another world for a few hours. I spent most of my childhood looking forward to the next Harry Potter book to come out, and now I get excited for new Star Wars, Trek, or Hobbit movies. 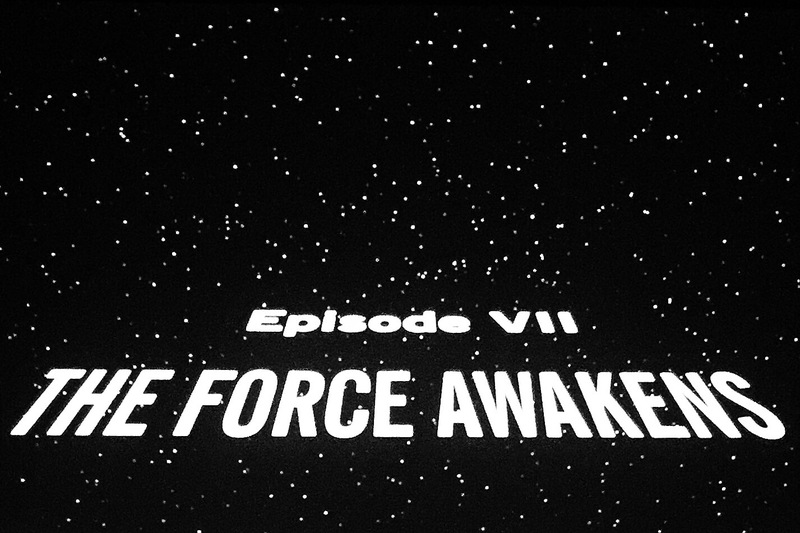 We went to see Star Wars this weekend, and all I can say is that I am still recovering. I walked out of that movie feeling like my heart had been ripped out, torn to bits, and destroyed along with the death star. I cried for at least 90% of the movie, and spent the other 10% grabbing brian’s arm in complete disbelief of what happened. I know it sounds so trivial that I am so emotional about a movie, but when you’ve grown up with three generations of Skywalkers, you get a little attached.. I can’t say much more without spoiling it all, so if anyone has seen it and wants to talk theories, you know where I’ll be. Sitting at my desk listening to the Star Wars soundtrack. Next > veronimama bakes: homemade eggnog!